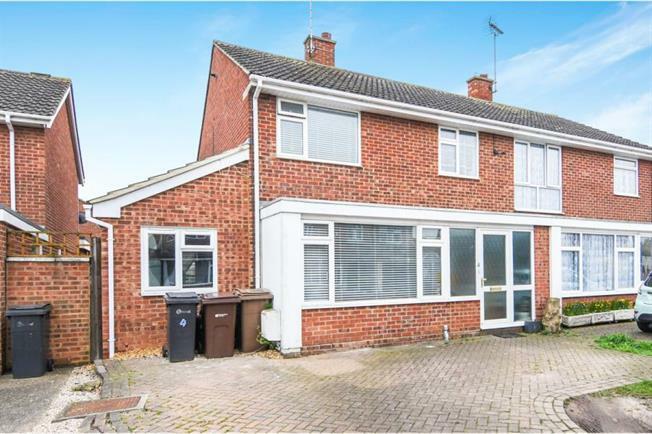 4 Bedroom Semi Detached House For Sale in Chelmsford for Offers in excess of £370,000. 3/4 BEDROOM HOUSE FEATURED IN THE BIG OPEN HOUSE - Please call to make an appointment. Located just a short walk from the train station and local amenities is this beautiful semi detached family home with a spacious lounge/diner. Separating the lounge from the kitchen is a fireplace perfect for those cosy family nights in. Bedroom 1 offers new Wren built in wardrobes with spacious room for a king size bed while bedroom 2 features a beautiful mural painted accent wall perfect for little ones in the family to let their imaginations run wild and has a cupboard with plenty of storage space. To the front of the property there is off street parking for at least 2 cars. Call today to view.